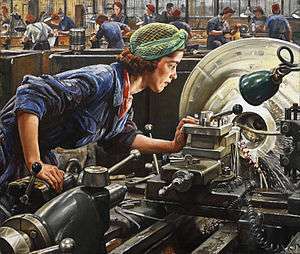 This painting depicts a woman examining her work on a lathe at a factory in Britain during World War II. Her eyes are not protected. Today, such practice would not be permitted in most industrialized countries that adhere to occupational health and safety standards for workers. In many countries however, such standards are still either weak or nonexistent. All organizations have the duty to ensure that employees and any other person who may be affected by the organization's activities remain safe at all times. "The main focus in occupational health is on three different objectives: (i) the maintenance and promotion of workers’ health and working capacity; (ii) the improvement of working environment and work to become conducive to safety and health and (iii) development of work organizations and working cultures in a direction which supports health and safety at work and in doing so also promotes a positive social climate and smooth operation and may enhance productivity of the undertakings. The concept of working culture is intended in this context to mean a reflection of the essential value systems adopted by the undertaking concerned. Such a culture is reflected in practice in the managerial systems, personnel policy, principles for participation, training policies and quality management of the undertaking." According to data from the 2010 NHIS-OHS, workers employed in mining and oil & gas extraction industries had high prevalence rates of exposure to potentially harmful work organization characteristics and hazardous chemicals. Many of these workers worked long hours: 50% worked more than 48 hours a week and 25% worked more than 60 hours a week in 2010. Additionally, 42% worked non-standard shifts (not a regular day shift). These workers also had high prevalence of exposure to physical/chemical hazards. In 2010, 39% had frequent skin contact with chemicals. Among nonsmoking workers, 28% of those in mining and oil and gas extraction industries had frequent exposure to secondhand smoke at work. About two-thirds were frequently exposed to vapors, gas, dust, or fumes at work. The Bureau also compiles information about the most dangerous jobs. According to the census of occupational injuries 4,679 people died on the job in 2014. In 2001, the International Labor Organization (ILO) published ILO-OSH 2001, also titled "Guidelines a on occupational safety and health management systems" to assist organizations with introducing OSH management systems. These guidelines encourage continual improvement in employee health and safety, achieved via a constant process of policy, organization, planning & implementation, evaluation, and action for improvement, all supported by constant auditing to determine the success of OSH actions. For the UK, the government organisation dealing with occupational health has been the Employment Medical Advisory Service but in 2014 a new occupational health organisation - the Health and Work Service - was created to provide advice and assistance to employers in order to get back to work employees on long-term sick-leave. The service, funded by government, will offer medical assessments and treatment plans, on a voluntary basis, to people on long term absence from their employer; in return, the government will no longer foot the bill for Statutory Sick Pay provided by the employer to the individual. 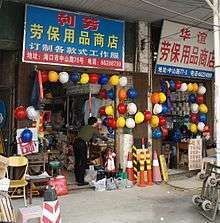 2007,official release the document TOSHMS (Taiwan Occupational Safety and Health Management System),which defined the basic rule about occupational safety standard. OSHA develops safety standards in the Code of Federal Regulation and enforces those safety standards through compliance inspections conducted by Compliance Officers; enforcement resources are focussed on high-hazard industries. Worksites may apply to enter OSHA's Voluntary Protection Program (VPP); a successful application leads to an on-site inspection ; if this is passed the site gains VPP status and OSHA no longer inspect it annually nor (normally) visit it unless there is a fatal accident or an employee complaint until VPP revalidation (after 3–5 years)(VPP sites have injury and illness rates less than half the average for their industry). The National Institute of Occupational Safety and Health (NIOSH), created under the same act, works closely with OSHA and provides the research behind many of OSHA's regulations and standards. On an international scale, the World Health Organization (WHO) and the International Labour Organization (ILO) have begun focusing on labour environments in developing nations with projects such as Healthy Cities. Many of these developing countries are stuck in a situation in which their relative lack of resources to invest in OSH leads to increased costs due to work-related illnesses and accidents. As a 2007 Factsheet from the European Agency for Safety and Health at Work states: "Countries with less developed OSH systems spend a far higher percentage of GDP on work-related injury and illness – taking resources away from more productive activities . . . The ILO estimates that work-related illness and accidents cost up to 10% of GDP in Latin America, compared with just 2.6% to 3.8% in the EU." 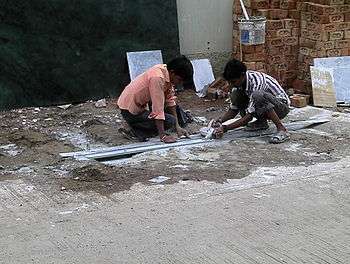 There is continued use of asbestos, a notorious hazard, in some developing countries. So asbestos-related disease is, sadly, expected to continue to be a significant problem well into the future. There are multiple levels of training applicable to the field of occupational safety and health (OSH). Programs range from individual non-credit certificates, focusing on specific areas of concern, to full doctoral programs. The University of Southern California was one of the first schools in the US to offer a Ph.D. program focusing on the field. Further, multiple master's degree programs exist, such as that of the Indiana State University who offer a master of science (MS) and a master of arts (MA) in OSH. Graduate programs are designed to train educators, as well as, high-level practitioners. Many OSH generalists focus on undergraduate studies; programs within schools, such as that of the University of North Carolina's online Bachelor of Science in Environmental Health and Safety, fill a large majority of hygienist needs. However, smaller companies often don’t have full-time safety specialists on staff, thus, they appoint a current employee to the responsibility. Individuals finding themselves in positions such as these, or for those enhancing marketability in the job-search and promotion arena, may seek out a credit certificate program. For example, the University of Connecticut's online OSH Certificate, provides students familiarity with overarching concepts through a 15-credit (5-course) program. Programs such as these are often adequate tools in building a strong educational platform for new safety managers with a minimal outlay of time and money. Further, most hygienists seek certification by organizations which train in specific areas of concentration, focusing on isolated workplace hazards. The American Society for Safety Engineers (ASSE), American Board of Industrial Hygiene (ABIH), and American Industrial Hygiene Association (AIHA) offer individual certificates on many different subjects from forklift operation to waste disposal and are the chief facilitators of continuing education in the OSH sector. In the U.S. the training of safety professionals is supported by National Institute for Occupational Safety and Health through their NIOSH Education and Research Centers. In Australia, training in OSH is available at the vocational education and training level, and at university undergraduate and postgraduate level. Such university courses may be accredited by an Accreditation Board of the Safety Institute of Australia. The Institute has produced a Body of Knowledge which it considers is required by a generalist safety and health professional, and offers a professional qualification based on a four-step assessment. On April 28 The International Labour Organisation celebrates "World Day for Safety and Health" to raise awareness of safety in the workplace. Occurring annually since 2003, each year it focuses on a specific area and bases a campaign around the theme. Viscusi, W. Kip (2008). "Job Safety". In David R. Henderson (ed.). Concise Encyclopedia of Economics (2nd ed.). Indianapolis: Library of Economics and Liberty. ISBN 978-0865976658. OCLC 237794267. ↑ "Oak Ridge National Laboratory | ORNL". www.ornl.gov. Retrieved 2015-10-30. ↑ "Guidance note: General duty of care in Western Australian workplaces 2005" (PDF). Government of Western Australia. Retrieved 15 July 2014. ↑ "WPRO | Occupational health". www.wpro.who.int. Retrieved 2015-10-30. ↑ "WHO Definition of Health". World Health Organization. World Health Organization. ↑ "Occupational Health Services And Practice". Ilo.org. Retrieved 2013-02-15. 1 2 Hutchins, B L; Harrison, A (1911). A history of factory legislation by ; Published 1911 (2nd ed.). Westminster: P S King & Son. Retrieved 30 June 2015. ↑ Edmonds, O. P.; Edmonds, E. L. (1963-07-01). "An Account of the Founding of H.M. Inspectorate of Mines and the Work of the First Inspector Hugh Seymour Tremenheere". British Journal of Industrial Medicine. 20 (3): 210–217. doi:10.1136/oem.20.3.210. ISSN 0007-1072. PMC 1039202 . PMID 14046158. ↑ Abrams, Herbert K. (2001). "A Short History of Occupational Health" (PDF). Journal of Public Health Policy. 22 (1): 34–80. doi:10.2307/3343553. PMID 11382089. Retrieved 9 August 2012. ↑ "Noise and Hearing Loss Prevention". Workplace Safety & Health Topics. National Institute for Occupational Safety and Health. Retrieved 3 August 2012. ↑ "Fall Injuries Prevention in the Workplace". NIOSH Workplace Safety and Health Topic. National Institute for Occupational Safety and Health. Retrieved July 12, 2012. ↑ "Machine Safety". NIOSH Workplace Safety and Health Topics. National Institute of Occupational Safety and Health. Retrieved 11 July 2012. ↑ "CDC - Seasonal Influenza (Flu) in the Workplace - Guidance - NIOSH Workplace Safety and Health Topic". www.cdc.gov. Retrieved 2015-09-03. ↑ "CDC - Insects and Scorpions - NIOSH Workplace Safety and Health Topic". www.cdc.gov. Retrieved 2015-09-03. ↑ "CDC - Venomous Snakes - NIOSH Workplace Safety and Health Topic". www.cdc.gov. Retrieved 2015-09-03. ↑ "CDC - Venomous Spiders - NIOSH Workplace Safety and Health Topic". www.cdc.gov. Retrieved 2015-09-03. ↑ "CDC - Poisonous Plants - NIOSH Workplace Safety and Health Topic". www.cdc.gov. Retrieved 2015-09-03. ↑ "CDC - Lyme Disease - NIOSH Workplace Safety and Health Topic". www.cdc.gov. Retrieved 2015-09-03. ↑ "CDC - West Nile Virus - NIOSH Workplace Safety and Health Topic". www.cdc.gov. Retrieved 2015-09-03. ↑ "CDC - Veterinary Health Care: Biological Safety - NIOSH Workplace Safety and Health Topic". www.cdc.gov. Retrieved 2015-09-03. ↑ "CDC - Bloodborne Infectious Diseases - HIV/AIDS, Hepatitis B Virus, and Hepatitis C Virus - NIOSH Workplace Safety and Health Topic". www.cdc.gov. Retrieved 2015-09-03. ↑ "CDC - Emerging Infectious Diseases - NIOSH Workplace Safety and Health Topic". www.cdc.gov. Retrieved 2015-09-03. ↑ "CDC - Chemical Safety - NIOSH Workplace Safety and Health Topic". www.cdc.gov. Retrieved 2015-09-03. ↑ "IOHA - International OEL Issues and Activities". www.ioha.net. Retrieved 2015-09-04. ↑ Goodson, William H.; Lowe, Leroy; Carpenter, David O.; Gilbertson, Michael; Manaf Ali, Abdul; Lopez de Cerain Salsamendi, Adela; Lasfar, Ahmed; Carnero, Amancio; Azqueta, Amaya (2015-06-01). "Assessing the carcinogenic potential of low-dose exposures to chemical mixtures in the environment: the challenge ahead". Carcinogenesis. 36 Suppl 1: S254–296. doi:10.1093/carcin/bgv039. ISSN 1460-2180. PMC 4480130 . PMID 26106142. ↑ Brun, Emmanuelle; Milczarek, Malgorzata (2007). "Expert forecast on emerging psychosocial risks related to occupational safety and health". European Agency for Safety and Health at Work. Retrieved September 3, 2015. 1 2 Nieuwenhuijsen, Karen (1 Jan 2014). "Interventions to improve return to work in depressed people". The Cochrane Collaboration. 12: CD006237. doi:10.1002/14651858.CD006237.pub3. PMID 25470301. Retrieved 7 October 2015. ↑ "Injuries, Illnesses, and Fatalities 2010". Injuries, Illnesses, and Fatalities. Bureau of Labor Statistics. Retrieved 9 August 2012. ↑ Safety, Government of Canada, Canadian Centre for Occupational Health and. "Violence in the Workplace : OSH Answers". www.ccohs.ca. Retrieved 2015-10-30. 1 2 3 "Construction Safety and Health". Workplace Safety & Health Topics. National Institute of Occupational Safety and Health. Retrieved 3 August 2012. ↑ "Health and safety at work statistics". eurostat. European Commission. Retrieved 3 August 2012. ↑ "OSHA's Fall Prevention Campaign". Occupational Safety and Health Administration. Retrieved 6 August 2012. ↑ "Health and safety in the Construction Industry". Veritas Consulting. 11 March 2009. Retrieved 20 March 2013. ↑ "CDC – NHIS – Construction Sector Profile Page – NIOSH Workplace Safety and Health Topic". National Institute for Occupational Safety and Health, Centers for Disease Control and Prevention. June 28, 2013. Retrieved July 16, 2013. ↑ "NIOSH Workplace Safety & Health Topic: Agricultural Injuries". Cdc.gov. 2012-07-13. Retrieved 2013-02-15. ↑ "NIOSH Pesticide Poisoning Monitoring Program Protects Farmworkers". Cdc.gov. 2009-07-31. Retrieved 2013-02-15. ↑ "NIOSH Alert: Preventing Deaths, Injuries, and Illnesses of Young Workers" (PDF). Retrieved 2013-02-15. ↑ "NIOSH Workplace Safety & Health Topic: Agriculture". Cdc.gov. Retrieved 2013-02-15. 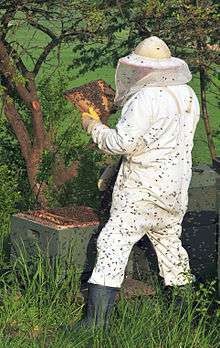 ↑ "CDC – NHIS – Agriculture, Forestry and Fishing Sector Profile Page – NIOSH Workplace Safety and Health Topic". National Institute for Occupational Safety and Health, Centers for Disease Control and Prevention. June 28, 2013. Retrieved July 16, 2013. ↑ "CDC – NHIS – Services Sector Profile Page – NIOSH Workplace Safety and Health Topic". National Institute for Occupational Safety and Health, Centers for Disease Control and Prevention. June 28, 2013. Retrieved July 16, 2013. ↑ "CDC – NHIS – Mining and Oil and Gas Extraction Sectors Profile Page". National Institute for Occupational Safety and Health, Centers for Disease Control and Prevention. June 28, 2013. Retrieved July 16, 2013. ↑ Facts About Hospital Worker Safety (PDF). Occupational Safety and Health Administration. 2013. 1 2 3 4 5 "All About OSHA" (PDF). Retrieved 15 July 2014. ↑ Howard, John (26 April 2013). "WORKERS MEMORIAL DAY 2013". National Institute for Occupational Safety and Health (NIOSH). Retrieved 21 January 2015. ↑ "The Vienna Declaration on the health of men and boys in Europe" (PDF). European Men's Health Forum. Retrieved 20 March 2013. 1 2 Guidelines on Occupational Safety and Health Management Systems. Geneva: ILO-OSH. 2001. ↑ "BS OHSAS 18001 Occupational Health and Safety". BSI Group. Retrieved 2013-02-15. ↑ Pun K.-F.; Yam R.C.M. ; Lewis W.G. (2003). "Safety management system registration in the shipping industry". International Journal of Quality & Reliability Management. 20 (6): 704–721. doi:10.1108/02656710310482140. ↑ "Successful health and safety management – HSG65". Hse.gov.uk. 2012-06-18. Retrieved 2013-02-15. ↑ See European Agency for Safety and Health at Work (2004): “Effectiveness of economic incentives to improve occupational safety and health”, Forum # 14, Bilbao, Spain: European Agency for Safety and Health at Work, ISBN 92-9191-119-4, http://osha.europa.eu/en/publications/forum/14/view or Elsler, D. (2007): “European Comparison of Economic Incentives in Occupational Safety and Health”, in C. Berlin & L.-O. Bligård (Eds): Proceedings of the 39th Nordic Ergonomics Society Conference, October 1 – 3 2007 in Lysekil, Sweden, downloadable from: http://www.nes2007.se/papers/A67_Elsler.pdf. ↑ "Intergovernmental Agreement for Regulatory and Operational Reform in Occupational Health and Safety | Council of Australian Governments (COAG)". www.coag.gov.au. Retrieved 2016-04-06. ↑ "Model work health and safety laws - Safe Work Australia". www.safeworkaustralia.gov.au. Retrieved 2016-04-06. ↑ "CCOHS: Web Information Service: Canadian enviroOSH Legislation plus Standards". www.ccohs.ca. Retrieved 2016-04-06. ↑ Based on p. 475 of European Agency for Safety and Health at Work (2000): Monitoring the state of occupational safety and health in the European Union – Pilot Study, Bilbao, Spain: European Agency for Safety and Health at Work, ISBN 92-95007-00-X, downloadable from: http://osha.europa.eu/en/publications/reports/401 and p. 148 of European Agency for Safety and Health at Work (2001): Monitoring the state of occupational safety and health in the EFTA Countries – Pilot Study, Bilbao, Spain: European Agency for Safety and Health at Work, ISBN 92-95007-19-0, downloadable from: http://osha.europa.eu/en/publications/reports/403. ↑ See p. 2-4 of European Agency for Safety and Health at Work (2001): "Quality of Work ‘A future Community strategy for safety and health at work’, FORUM # 1, downloadable from: http://osha.europa.eu/en/publications/forum/1/view. ↑ "Siden kan ikke findes". www.nyidanmark.dk. Retrieved 2015-10-30. ↑ The inspection results can be found from the main page of the Danish Working Environment Authority at: http://arbejdstilsynet.dk/da/ under the heading "Smiley Status". See also http://arbejdstilsynet.dk/en/engelsk/inspection/smiley-26-6-07.aspx. ↑ "Ministry of Employment and Social Security: Home page". www.empleo.gob.es. Retrieved 16 December 2015. ↑ "Instituto Nacional de Seguridad e Higiene en el Trabajo (INSHT)". www.insht.es. Retrieved 16 December 2015. ↑ "Welcome to Swedish Work Environment Authority". Swedish Work Environment Authority. Retrieved 12 August 2014. ↑ "Health and Safety at Work etc. Act 1974 (1974.c37)". legislation.gov.uk. Retrieved 15 July 2014. ↑ Health and Safety Executive (2009): A Guide to Safety and Health Regulation in Great Britain. 4th edition. ISBN 978-0-7176-6319-4, http://www.hse.gov.uk/pubns/web42.pdf. ↑ see Second Reading debate - "HEALTH AND SAFETY AT WORK ETC. BILL". Hansard House of Commons Debates. 871 cc1286-394. 3 April 1974. Retrieved 15 July 2014. ↑ "New Health and Work Service to get long-term sick back to work". BBC News. Retrieved 2016-04-06. 1 2 "About DGFASLI- Directorate General, Factory Advice service and Labour Institutes". www.dgfasli.nic.in. Retrieved 2016-04-06. ↑ Chaturvedi, Pradeep (2006-01-01). Challenges of Occupational Safety and Health: Thrust : Safety in Transportation. Concept Publishing Company. ISBN 9788180692840. ↑ hermes. "More workers die in falls from height". The Straits Times. Retrieved 2016-04-06. ↑ "Introduction". Occupational Safety and Health Administration, Ministry of Labour. Retrieved 2015-11-24. ↑ "Occupational Safety and Health Act". Laws & Regulations Database of the Republic of China. Retrieved 2015-11-24. ↑ Della-Giustina, Daniel E. (2000). 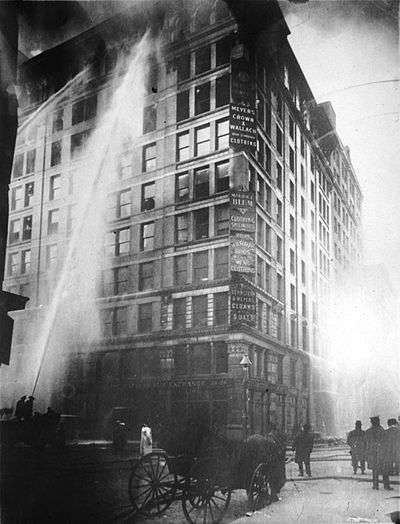 Developing a Safety and Health Program, New York: Lewis Publishers. ↑ "About OSHA". OSHA. US Department of Labor. Retrieved 15 July 2014. ↑ "CDC - NIOSH - About NIOSH". www.cdc.gov. Retrieved 2016-06-16. ↑ "www.riskmanagementinsight.com" (PDF). Retrieved 16 December 2015. ↑ Swuste, P., Eijkemans, G. "Occupational safety, health, and hygiene in the urban informal sector of Sub-Saharan Africa: An application of the prevention and control exchange (PACE) program to the..." International Journal of Occupational and Environmental Health. Abel Publications Services Inc. 2002. ↑ European Agency for Safety and Health at Work (2007): Facts 76/EN National economics and occupational safety and health. Bilbao, Spain: European Agency for Safety and Health at Work, ISSN 1681-2123. ↑ "Risks and nanotechnology: the public is more concerned than experts and industry" (PDF). Nature Publishing Group. 2007. Retrieved 20 March 2013. ↑ "Nanotechnology risks – the real issues". Nanowerk.com. doi:10.1016/j.techsoc.2004.10.005. Retrieved 2013-02-15. ↑ "University of Connecticut Online OSH Certificate". Retrieved 11 March 2013. ↑ Knowledge, The OHS Body of. "The OHS Body of Knowledge". www.ohsbok.org.au. Retrieved 2016-04-06. ↑ "World Day for Safety and Health at Work (Occupational Safety and Health)". www.ilo.org. Retrieved 2016-04-06. ↑ "The World Day for Safety and Health at Work". Citation Ltd. 2013-04-23. ↑ "World Day for Safety and Health at Work 2013". www.ilo.org. 2013-02-13. Retrieved 2016-04-06.